The CTFA (Chinese Taipei Football Association) otherwise known as Taiwan recently announced they will be holding a 4 team friendly tournament in December that will include East Timor, The Philippines, and Laos. However, the original choice of name was rejected by the AFC (Asian Football Confederation) on the basis of aggravating China we can only presume. What is this name Formosa? And why should it be rejected by the AFC when it seems to be a word that doesn’t bear any resemblance to anything offensive? 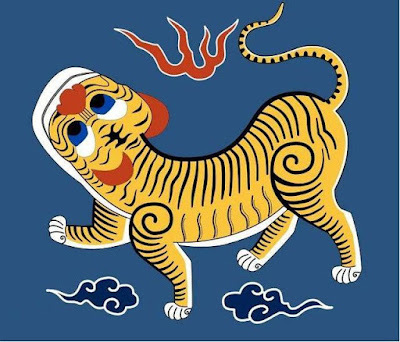 The only reason it causes an offence is because The Republic of Formosa was the first name given to the island of Taiwan. In 1894 The Japanese army defeated the Chinese in Manchuria, and while most of the fighting took place on the mainland, the Japanese had important territorial ambitions in southern China. By 1895 the Japanese and Chinese had started peace treaty negotiations, and included in these negotiations was a demand for Taiwan to be ceded to Japan when the peace treaty was eventually accepted. When news of the peace treaty reached Taiwan a number of notables led by Qiu Fengjia decided they would rather resist being put under Japanese occupation / rule. They pronounced that they would declare independence and attempt to fight off the Japanese. The Republic of Formosa managed to hold out for 5 months before being overran by the Japanese army. Since the Republic had already been ceded to Japan in the peace treaty western powers claimed they were unable to intervene; which should be a warning to Taiwan under its current guise not to allow history to be repeated in the event of the future going full circle and replicating the past – defence can only come from your own people. Which leads me onto the football tournament organised by the Taiwanese FA (CTFA) which was supposed to be called the Formosa Cup. From reading the declaration of independence statement it can be taken two ways, either the country at the time still wanted to be aligned with China, and resist the foreign aggressors or they saw an opportunity to break free and claim their own country and territory that they deemed rightly belonged to them and their own people. As these events took place in the 1800’s you would think it would be possible for China to let it slide, but such naming of an event or tournament is seen as the Taiwanese leaning towards independence as technically China and Taiwan are still at war; with Taiwan being seen by china as a breakaway province. So when the CTFA made their proposal to the AFC to make the friendly competition officially registered as a Fifa tournament it was declined, meaning they had to change the name. Now they just have the generic name of – CTFA International Tournament, which is a lot more difficult to market to a Taiwanese audience than the Formosa Cup would have been. With a name like the Formosa Cup it would possibly attract a higher attendance due to the name alone, but as things are between the two nations, China has again blocked something that doesn’t damage them, or offer a threat in any kind of way while Taiwan takes a hit on a very good marketing ploy to encourage more people to come out and enjoy a game of football which would of had the added bonus of potentially creating new fans of the game.